I chose what I thought was “a niche”, and just hit my keyboard like a madman producing random content as fast as possible. You have to blog as much as possible, right? Wrong. I actually used the “spray and pray” technique looking back at it. And it was not very effective. I wrote on the topic of blogging (social media, marketing, WordPress and SEO) and did not really understand what a niche was. The poor results I got were my reward for having no idea how to narrow my niche down. If you had not noticed already (get your head out of the sand please!) you are living in a content-saturated online world. Starting an online business online, or blog, is so easy it seems nearly everyone is doing it! So, in today’s age of content overload – you need to stand out! And one of the best keep secrets of the online world is standing out requires you to choose a very narrow niche. It might seem counter-intuitive. After all, you want to reach as many people as possible, right? Wrong again (like I was back in 2013). You don’t need to serve the world to make a living. Just a few hundred, or perhaps thousand people will do. And with billions of people within your online-reach, that means you can go super narrow and targeted with your niche! Of course, that does not mean you should be ridiculous and choose something so narrow that there is not market. You need to keep your head screwed on right. However, don’t be afraid of choosing something narrower than you think is possible. Because in many cases, it really helps! I want to show you some real-world examples of businesses and blogs that have gone narrow and prospered. This is to demonstrate to you that it is possible and can lead to bigger and better results. WPEngine have specialised in the very crowded market of web hosting. They have narrowed their niche down to the owners of WordPress websites who want premium services and protection. In a world where there are hundreds of cheap and cheerful hosting companies (Bluehost, Godaddy, Hostgator etc), and even dozens who are in the mid-range, WPEngine decided to narrow down their market and have profited hugely as a result. This is a similar example, but in some ways very different. Concourse Hosting offer very specific hosting to non-profits (already niche) who are using Blackbaud software to run their systems. Never heard of Blackbaud, neither had I. But if you want to survive in a crowded marketplace like hosting, choosing your battles is key! So, if you combine narrowing your customer base (non-profits) with a product that is also very niche, you can really find your sweet spot! Have you heard of the rising trend of using insect protein in food? Probably not. I have the pleasure of working with a diverse range of clients around the world which helps expose me to such trends (and I listen to Tim Ferris – who is an investor in Exo too). With the insane way we are using our animals to feed other animals or wasting land to feed them, people have been looking at cheap, fast and low resource alternatives. Are there enough protein bars (or protein powder for that matter) manufacturers out there? There sure are. So, Exo is standing out by being a supplier of bars made with cricket powder! Niche enough for you? Order one and give them a try! Jeff Sieh is a great example of how to take a niche and create your own even narrower niche inside it. Pinterest, as we all know (and assume) is a very female dominated social media platform. It started out heavily in fashion, home decoration and similar feminine topics. But that has long ago stopped being the case. Jeff was quick to realise this as a big Pinterest user himself and he developed his own manly brand on Pinterest. It has lead him to big things, with a recent appearance on the stage at Social Media Marketing World in San Diego! Take a slightly different angle in a niche and stand out from the crowd (check out Jeff’s beard too, another great branding/niche trick). There are a lot of websites out there on web design, graphic design, branding and similar topics. But, are there any on branding specifically geared towards solopreneurs? Not many. Andrea (Dre) Beltrami didn’t think so either. Her website almost came out of nowhere and she has quickly become a “household” name in the blogging arena. Ok, not all of it is due to her niche (she has quite a bit of sass about her too) but it certainly helped. Her content and focus on helping people who are running their businesses on their own (solopreneurs) has grown her a strong and dedicated following in a very short period of time. Niching-down is something you need to do, as you can now start to see. This last one is an example of re-branding in order to better focus on a niche. Brent Jones also exploded onto the blogging scene last year and quickly made a name for himself with his interview series of successful bloggers. But then, at the end of 2015 he decided it was all a waste of time! Did he quit? No, he pivoted (as it is known in the startup world). He changed niche and focused on an even narrower segment of the online world. How about freelancers who are just starting out. That is pretty niche. Starting To See The Pattern? So, Now What? Now that you have seen the examples that work, I hope you are starting to see the wisdom in narrowing your niche. In the beginning, it is hard. I was there not very long ago myself, and in many ways I am still trying to narrow my niche every day (because it really helps). 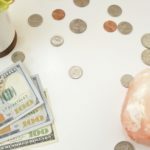 However, now that we are starting to get to the end of this post I want to leave you with some steps you can take to help you narrow your niche and get more clients, customers or just blog readers as a result. What you really need to find is the overlap of these three things and then define who it is exactly you want to serve. Figuring out this “sweet spot” will really help. Try listing down each area and the things that go in each, and see what comes out of it. You can also check out a recent post I did with 100 online business ideas which can help you find an idea or niche to start with. Let me give you an example from my work. I am currently offering SEO and WordPress websites to anyone who asks. And, that I really love doing SEO with content that helps these kinds of people rank on Google for the long-term. I am there yet? No. Am I constantly working towards this narrow-niche goal? You bet! When I was starting out I was trying to please everyone. But in the end I was actually pleasing no one. Now I have slowly started to narrow down my niche and people can not only refer to me by what I do and offer, but also relate to it because it is what they specifically need. And, if I am talking directly to a specific type of person (my ideal client, based on my sweet spot) then they will hear me loud and clear! 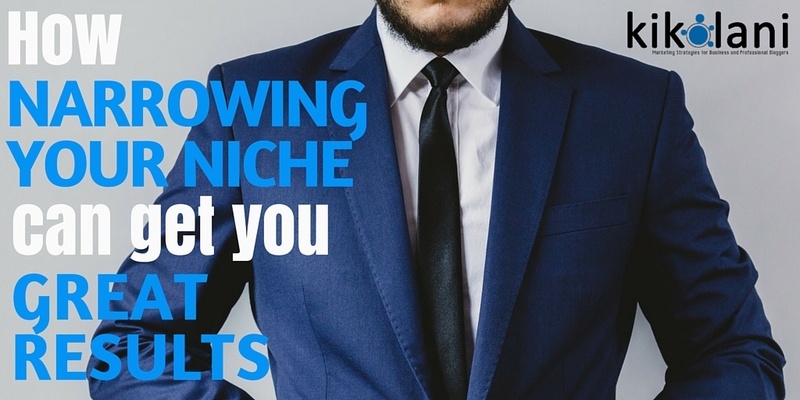 Now get out there and find your niche. Organic links. Is there any way how you can affect the amount of them? The answer is yes!